There is an extremely disturbing interview in the Denver Catholic Register in which a candidate, an avowed Catholic, strongly supports the death penalty and invokes a conversation with Archbishop Chaput as justification for his position. The candidate was asked directly how he could take this position in contradiction of Church teaching and he said that Archbishop Chaput told him that Church doctrine is not anti-death penalty. I think it very important the Archbishop speak out on this, it is creating great confusion. 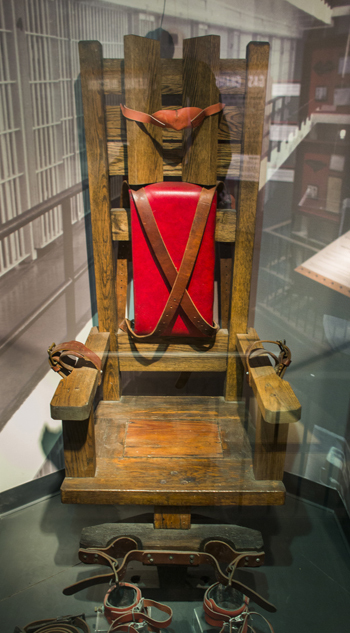 Capital punishment – delivered swiftly, impartially, humanely and without prejudice has been proven to be an effective deterrent against future crimes, most assuredly by the person being executed. He or she can’t do it again. Crime is rampant today in the world. IMHO, one of the main problems is that criminals committing capital offenses do so with the implicit assurance that – if they are ever caught, convicted and sentenced – chances are they’ll get 3 meals a day, free legal, housing, medical and dental care, the chance to learn new (criminal) skills and will ultimately be paroled – sent back into society – to most probably re-offend. As a tax paying Catholic Christian, I feel strongly that the execution of those on death row should be expedited. This will not only save the taxpayers a considerable sum, provide closure to the victims’ families and broadcast an unmistakable signal to would be criminals that they will be quickly, harshly and justly punished. If Our Lord – who was totally innocent – could accept the death penalty, people justly accused of capital offenses have no basis for objecting, do they? After all, they will have ample time to make their peace with God – certainly more time than they gave their victims.